What are XML sitemaps and why are SML sitemaps important to web sites and their owners? These are the two questions we will answer in this post. The first one is easy. Think of XML sitemaps as a road map for search engines to follow when they are exploring your site. It tells them the names of all of your pages, or posts. In addition it shows were they are located on the server they reside in. Sitemaps tell the search engine when the post was updated. 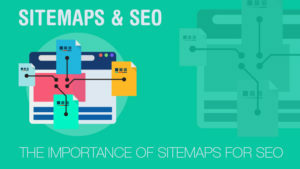 A sitemap can be in one of two categories. The first contains the information we just presented. The second is a XML sitemap containing a list of XML sitemaps. This file is an XML sitemap index. 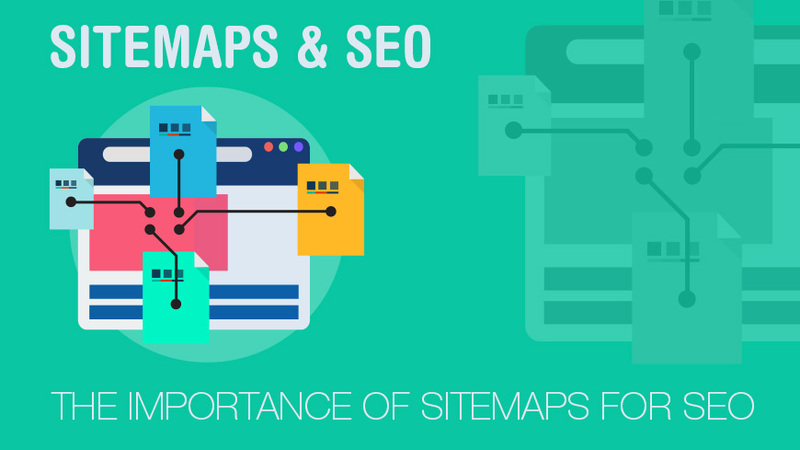 It points to all of the sitemaps for your website. Large websites use index files. These sitemaps point to all of the files, posts and pages for a website. It is important to provide this roadmaps so that search engines who are indexing your site can find all of the pages quickly and easily. Without a sitemap the search engines must rely on links within each page or post. Search engine will not index these pages. They are not provided in search results to searchers. No one will ever find your site. You will not receive any traffic. Links are important. But so are sitemaps. Indexed the entire web site. They need to be included in search result rankings from Google and other search engines. There are various apps available for WordPress and other content management systems. They can automatically scan your site and prepare a properly formatted XML Sitemap. They will even send it to the search engines for you. Most people are aware of the threats and dangers of losing their identity or becoming victims of fraud. In addition they may have heard the terms such as “phishing” and “smishing”. They did not exist a decade ago. For example we all keep our doors and windows locked to prevent thieves from entering. But leaving your computer and online accounts exposed is an invitation to cyber criminals to take advantage. The reality is that cyber safety has become an increasingly problematic issue for anyone who spends time online. In other words online banking, social sites, etc are all candidates that are constantly under attack. Choose powerful passwords. Use multiple passwords on different sites. In addition change them frequently. For example use passwords that include a mix of upper case and lower case letters, special characters if allowed and numbers. Avoid Phishing Attempts. Don’t respond to unsolicited requests for confidential information. Your bank will never send you an email to request information. Neither will the government. If in doubt, delete the email and call your bank directly etc. Beware of the phish. Do not click on a link in an email, call a phone number. Never wire money or take any requested action. First verify that a request is legitimate. Even emails sent to you by friends, family and associates should be suspect. Minimize sharing on social media. Avoid including personal information online, on social networking sites and in emails. Be cautious of public Wi-Fi. Use public Wi-Fi for browsing only. Avoid doing your banking online etc over unprotected Wi-Fi systems. Personal information Privacy. The person sitting beside you can see your laptop screen. Everyone around you will hear your conversation. This post is about why small businesses must invest in a blog. The primary benefit for Business to have a blog and website is to drive more sales to your company. Above all it is particularly important if you have an online company that depends on traffic over the Internet to drive sales. For example a company with a blog will get more search traffic and build a more loyal audience. Further your website ranking will improve and you’ll have a higher level of engagement via social media which many people are embracing. It is important to build an online brand with useful content for your readers and customers. Loyal readers will generate more leads and you will be able to convert these leads into paying customers. Finally your blog is a media channel that advertises your business, your services and products which will give you long-term results. Choose the right platform – A content management system like WordPress makes your job easier in the blogging world. It is optimize for search engines, there are many themes and plug-ins to provide various functionality that you may need. It is important to also have your own domain name that represent your business. You can build your firms authority in the business area that you represent. Attach your blog to your existing domain name as a sub folder. This provides flexibility and allows you to actually run several blogs if that makes sense for your business, each in its own sub folder. 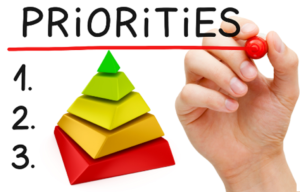 Define the objective – it is always important to know what the objective is for your blog. You can measure results against the objective and determine the value of the investment that you are making. Objectives could include building awareness about your product and services, building more subscribers, presenting your expertise in your business area and developing your blog as a source of qualified leads. Blog posting strategy – each blog post should have it’s own objectives and strategy. You might be announcing new services or products. Your company could also be providing information on frequently asked questions by customers. 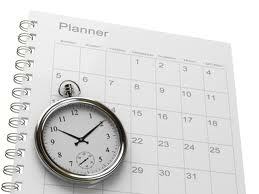 You should establish a schedule for each post and a schedule for keeping those post up-to-date as your business changes and products and services are updated. A blog without any new posts on a regular basis will not attract readers and customers. Here’s a general checklist for blogging however it should be customized for each company in the objective set for the company. Every post must add value of unique for the reader. Each post should be a minimum of 300 words and deliver a specific message to address readers needs. Some posts will be as long as 1000 to 2000 words based on the subject. Add appropriate images to add color and to contribute to the subject. Add links to other post on your blog that relate to the subject you’re discussing. Insert share buttons that allow readers to share a link to your post on Twitter, Facebook and other social media engines. Developing a blog is step one in your promotional strategy. Firstly you need to think about sharing links to your blog from other social media engines. Add social share buttons to each post. Build email distribution lists and newsletters. Develop your promotional strategy based on what makes sense for your business. 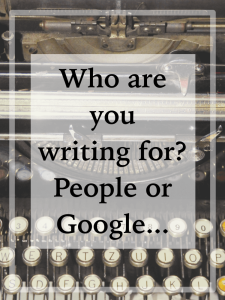 If you are writing strictly for SEO purposes i.e. the search engines, then you are most likely missing out on actual customer contact relationships. If you write strictly for your customers, there is a really good chance they will never see the content. Search engines will not refer them to your pages. The message we want to pass along is that writers and bloggers as well as web site owners is that they need to nurture SEO and blog content relationships to enable the best of both worlds. Writing blogs is really meant to provide your customers with information using keywords that they typically would search for if they were looking for products or services that you provide. Blogging every day or at a minimum weekly will increase traffic to your site as well as sales from added contacts with customers. For this reason alone, blogging must be part of your marketing strategy along with traditional marketing activities. If you are able to achieve the above, then your website will have a much better chance at competing with others to bring customers to your website and your business. As the picture to the left indicates, content is king, but even if you have really fantastic content, you still need to consider promoting blog posts to increase traffic and sell whatever products you have available on your web site. For this post we will assume that you have done all of the good things regarding creating your post in terms of well written content. Also original content and you solve a readers problem or answer his or her question. You have also addressed all of the SEO requirements to ensure that the search engines will index your blog post well. But there is more to ensuring that you maximize your traffic – promoting blog posts! The best way to promote your blog posts really depends on the type of web site that you have. Also the products you are selling. There are lots of traditional methods of promotion as well as the online approaches to help promoting blog posts. These include placing your web sites URL on your business cards, all of your stationary, including invoices, advertising in traditional print, TV and radio venues. There are lots to choose from and they cost money so you will need to manage your budget well. Posting to Twitter, Facebook and other online social media areas that are related to your business interests is a good start. Submitting your URL to Reddit, Stumbleupon and other online news venues is also needed. Most are free, but some you will need to pay for as well. Google Adwords for example is one way of taking advantage of online advertising, although you must pay for each click. The more opportunities you have for your readers to become aware of your web site and your blog posts, the better the chance of them actually reading your posts! 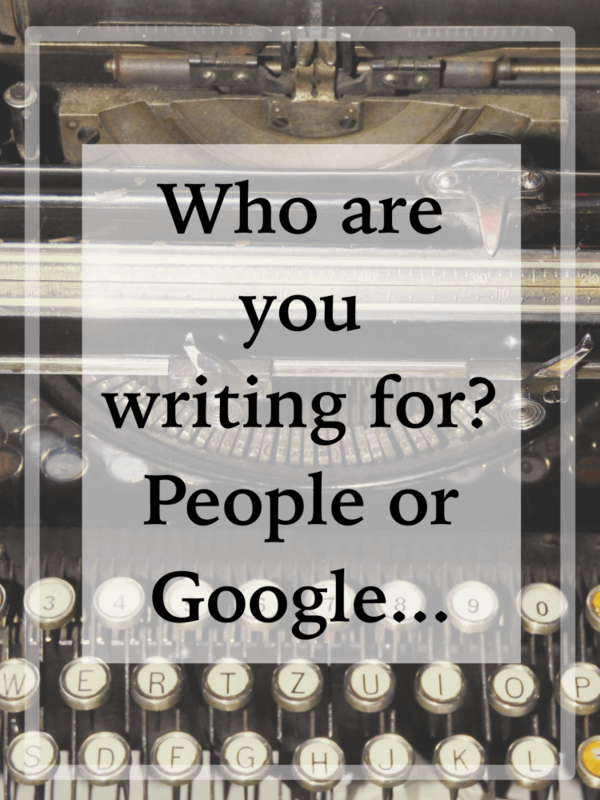 Blog posts need to have great content that answer readers questions. They must be unique from other content that can be found on similar web sites. They must also be SEO compliant to ensure that the search engines rank them well. Finally you need to have a great catch phrase. Even though your on the first page of the search results, the reader may select some other post. They may go to another title because it has a great sounding title that is closer to what the reader is looking for. If you have done all of these things you may feel that your ready to move on to other activities. However there is another major step that many bloggers forget and that is promoting your blog posts. There are many ways to promote your blog posts. However not all will apply to your blog, so choose them with the audience in mind that your after and also your budget. Some are free while others will cost something and you may not have all that much money to spend until your blog really gets going. For example Google offers their adwords product which costs something every time a reader clicks on one of their ads. The amount depends on the competition and how much you have budgeted for each click. Others are free and you merely have to submit the URL of your blog post to the site in order to be listed and ranked. Sites such as Reddit, Twitter, Facebook etc can be used as part of the social media experience. These are methods of getting your post out to the people who follow you on social media. Advertising on your business card, your invoicing and any other correspondence that you may routinely circulate are also good ways of getting your blog noticed. LinkedIn, Stumbleupon, Scoop.it, Yahoo answers, etc should also be included. There are other ways to get your blog noticed and more people coming to your site. Make sure you have buttons to easily allow them to share your site and posts to their social media contacts. Twitter, Facebook, etc. all have buttons that can easily be added. Bloggers for many years got a bad rap due to the poor material that was included in blogs and the inability to follow much of the information. There was much innocuous ranting and rambling of ideas and thoughts. Frankly no one really gave them much attention other than like minded people. Today search engines have de-indexed these sites due to poor content. You do not want your site to fall into this category. Make sure you have a content management system. Provide quality original content that is interesting to your readers. Employ many other ranking factors that will help you to rank well. Blogs are moving into the main stream now that really high quality content management systems such as WordPress are available. They help communications and marketing managers manage the content, add features and content rich material. You do not have to understand much about what is going on in the back ground. Although it helps you really do not need to understand HTML any longer to use a WordPress content management system. Now you can focus on what really counts and that is the actual content that will entice your prospective customers to contact you and / or to place their orders. Excellent presentation, easy to use widgets and themes that add a great deal of functionality and professionalism to the content management system that allows small business owners to craft their own web site and personalize it as well. Add logo’s, banners, images and videos to your site to truly enhance the web site and interest the customer. Company owners and semi IT professionals maintain content once it is set up on a hosting site with a content management system. In fact we can install WordPress for you and install the theme you prefer. We can also install various widgets and even some of the initial pages. Then you are ready to go with your own content being added as time permits and services or products are updated. Some owners will create pages and posts that represent their latest suite of services and products. They will also use the services of a marketing writer to help them add content. this content represents their company in the best possible way while being SEO optimized as well. SEO optimization is what brings potential clients to your site when they are searching for services or products that you may provide. Let us help you with your hosting and initial web blog design. We have a variety of options that are flexible. They are aimed at making sure that the web blog site you set up will be beneficial to your company . It also enhances sales and service at your company. Call or email us today for more information. One of the questions that many people ask is how do we know what content to add to a blog or to a website? In addition they want to know what happens when you have writers block and cannot find anything specific to write about? This situation actually happens to many people from time to time including our own writers. There are techniques to help you always have something to write about and keep the creative juices flowing so to speak. When you are able to write, write many posts and schedule them to launch in the future. This is one way to help you get over those periods when you do experience writers block. We can came across an article that talked about 20 different techniques that can be utilized in terms of creating content when someone has what’s is called writers block. We decided to use these 20 items and put our own spin on these items based on our experience that we have had in terms of creating content for our websites as well as for customers websites. The objective is to create content that is useful and meaningful for the reader based on the context of the customers website. As you’re reading these 20 items try to think of them in the perspective of the content that you would need to have created for your website and for your customers. Remember to place the important stuff up front in the article. 1. Update outdated content – regularly review your older pages and update them with more current information. 8. Look for News and Magazine Article Titles – for the same reason as above. We provide inexpensive hosting and content management systems to help your company with your website and blog. If you need information or would like some help please give us a call or send us an e-mail with your contact information. Our phone and email is at the top of the page. Many of our customers ask for help in setting up a web site and then proceed to develop their own content.